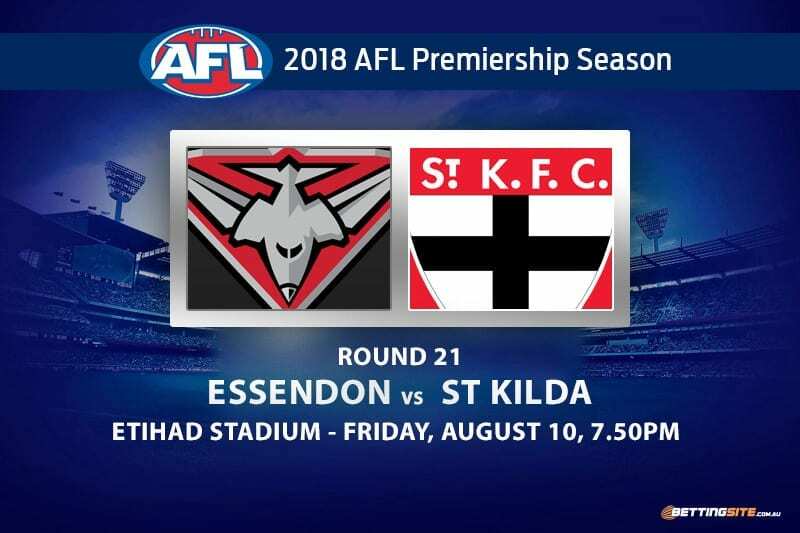 The Essendon Bombers will host the St Kilda Saints at Etihad Stadium on Friday night with nothing but pride on the line. 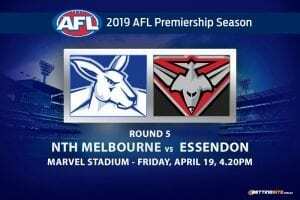 The Bombers fell agonisingly-short against Hawthorn last week, falling out of realistic finals contention as a result. 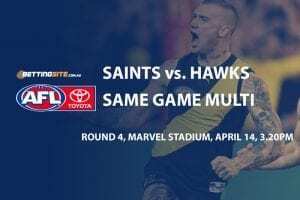 The Saints let themselves down last week too, capitulating at the hands of the Western Bulldogs, scoring a mere two goals in the second half of the match. 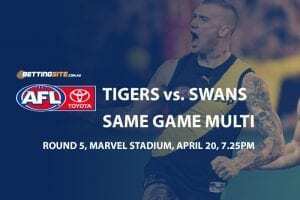 St Kilda has had the wood over the Bombers in the past, winning two of their last three clashes, but the Bombers won the most recent encounter. 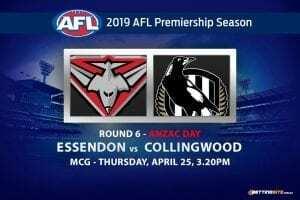 Essendon will enter the match as heavy favourites. 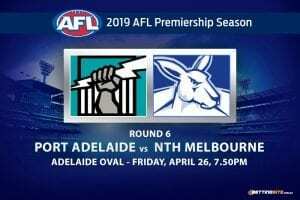 The Saints could be an outside chance to come within a three goal margin, but the form they bring into the game will not fill anyone with confidence. Here are our tips for the match between the Essendon Bombers and the St Kilda Saints. Over the past month the Bombers have displayed fast and high-scoring football, averaging over 100-points in the last four matches. The Saints backline has barely been held together by tape and glue without Dylan Roberton and Shane Savage. The slow Nathan Brown and Jake Carlisle are the only key position defenders and the slightly inconsistent Jimmy Webster is also known to butcher the footy at times. The Bombers fast and accurate forwards will easily score against the rabble that is St Kilda. The St Kilda forward line has plenty of talent, but with such terrible form heading into this match, it would be best to go unders on this one. Jade Gresham and Jack Billings cannot carry the entire forward line on their backs, especially when Tim Membrey is having such a poor season. The Bombers defenders can easily hold the Saints to under 73-points. The tackle king has failed to let us down so far this season. As Devon Smith is clearly the best tackler in the league, the decision to place this bet was much easier than others. With an average of 8.5 tackles per match, it would have to be a very poor game for Smith to not lay 6 tackles. The slow Saints midfielders will be run down by Smith on multiple occasions. The toughest player at St Kilda, Jack Steele thrives in a hot contest. When Steele was matched up against Blues star Patrick Cripps, he was able to stick with him for a majority of the night, laying the most tackles on the ground with an impressive 10. The odds are greater than Smith’s and the chances are fairly similar. This is a punt that could result in a decent payout if Steele can supply the goods. The poor Saints are in quite the predicament. 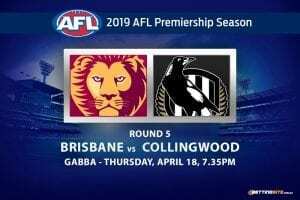 They are not good enough for the mid-tier AFL teams such as the Bombers, but can beat the clubs that sit lower on the ladder. The Bombers will have faith that if they can build enough percentage, finals is not out of their reach. The Dons will smash the Saints in this match, which provides extra incentive to place this bet. Essendon to win this match by a decent margin. The Saints are not ready to take on teams that are as good as the Bombers with so many injuries. Bombers by over 40 sounds about right.